With Norfolk being promised more warm weather across this World Cup weekend, officers are reminding people to stay safe and think about personal safety. Temperatures having been soaring across the county over the last couple of weeks and with sights set on the 3pm kick off on Saturday (7 July) officers are warning people not to put themselves at risk during all the excitement. Chief Inspector Kris Barnard said: “This is an exciting weekend for Norfolk, not only because England are in the quarter finals of the World Cup but also because we have a number of events being held across the county. “In Norwich many people will be out to enjoy the Lord Mayor’s celebrations. If you are heading into the city please plan your day ahead, make use of public transport and be aware of any road closures which will be in place for the procession which will now start at 6pm, an hour later than originally scheduled. “If you are heading out to enjoy the sunshine elsewhere please ensure you secure your vehicle and remove all valuables from display and from the vehicle where possible. At this time of year opportunistic thieves will be on the look-out for homes and cars with open windows and unlocked doors. “For those who will be watching the football on Saturday we know an increased amount of alcohol and intensified emotions can sometimes lead to an increase in public order offences. We encourage everyone to enjoy the World Cup, but want to remind people to be considerate and tolerant of others. “If you go out to watch the match we want you to have a good day out and make sure you stick with your friends. Excessive drinking leading to anti-social behaviour can have very damaging consequences for those concerned, and sometimes for their families. “Norfolk has specific policing plans in place. Officers will deal robustly with any issues, but we hope there will not be a need to do so. People need to take responsibility for themselves and their friends. Make sure you plan ahead, if you’re going to watch a match at a pub pre-book safe transport home and do not accept lifts from strangers. 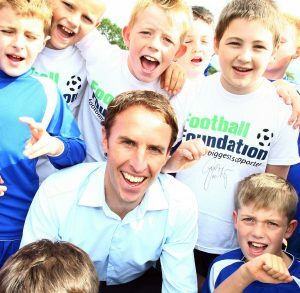 England Manager Gareth Southgate. Fans will be out cheering his team on across the city and county on Saturday. This entry was posted in Home Page and tagged norfolk on July 5, 2018 by Just Regional.